Successfully Added HK Warehouse MOYEAH BPAP Ventilator - AutoRamp, Unique IPR, REG, Auto-Humidifier, CSS (Cluster Scheme Setting), Waveform Display to your Shopping Cart. Say hello to the MOYEAH-BPAP and look forward to a restful sleep every night! Getting a good night's sleep is as important as a healthy diet and regular exercise but not always easy to achieve. Until now that is! 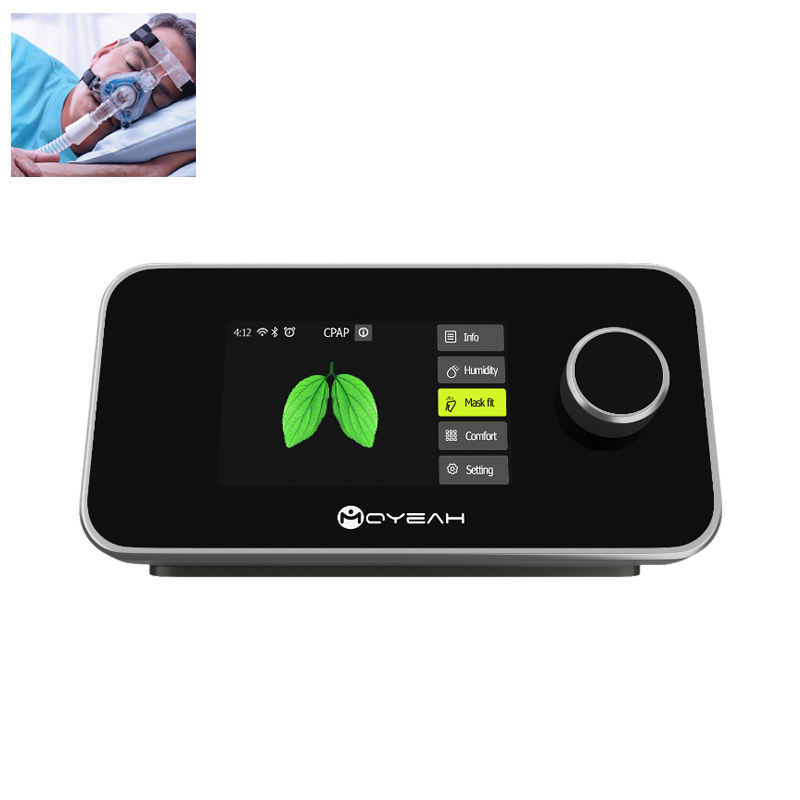 The affordable BPAP machine from MOYEH means you will never have to experience waking up tired from a restless sleep again. The i-breath BPAP machine from MOYEAH is one of the best BPAP machines on the market to date. It has a sleek design and is more compact as well as lighter that most of its competitors, making it easy to take away on vacations with you. When it comes to comfort you can enjoy the iVolve N2 nasal mask that is flexible and deigned to minimize contact with your face. With fully adjustable soft elastic straps you can find the perfect fit ensuring your comfort when wearing it. This machine also features CCS (Cluster scheme setting) that provides an abundant number of presetting parameters so the user or caregiver can easily select the right options for any given patient that can be easily adjust whenever needed. This BPAP machines has all the features you will need. It is auto adjusting and has heated humidifier, heated tubing and SD card slot to record all your sleep data. The waveform display function makes it easier to present respiratory details to clinicians and it all comes in its own handy carry case. This BPAP Ventilator comes with 12 months warranty, brought to you by the leader in electronic devices as well as wholesale health gadgets..